In a peer-reviewed paper published February, 12, 2019 in Molecular Cancer Therapeutics (an AACR journal), Cypre’s VersaGel extracellular matrix (ECM) hydrogel was used to culture ex vivo tissue in 3D, correctly predicting the clinical response in five glioblastoma patients using resected tumors as well as recapitulating in vivo phenotypes using renal cell carcinoma patient-derived xenograft (PDX) models. The findings described in the paper further demonstrate the applicability of more complex 3D in vitro models in both translational research but also in personalized medicine. More and more research is showing that 2D cell culture systems and some current 3D technologies like basement membrane extract (BME) or spheroids do not provide the necessary framework to recapitulate the tumor microenvironment. Batch variability or the presence of growth factors in the case of BME can affect drug response and contribute to reproducibility issues. Spheroids, by lacking an ECM, do not properly recreate aspects of tumor progression such as ECM-dependent growth, migration and invasion. The need for a platform that utilizes a batch-consistent, growth factor free ECM hydrogel to enable stronger physiological relevance to in vivo environments is clear. In the paper titled “A simple three-dimensional hydrogel platform enables ex vivo cell culture of patient and PDX tumors for assaying their response to clinically relevant therapies” the authors use Cypre’s VersaGel ECM hydrogel to grow ex vivo tissue in 3D to demonstrate renal cell tumor growth as a proof of concept and enable in vitro drug validation for these glioblastoma patients. Cypre’s VersaGel successfully allowed ex vivo growths and correctly predicted clinical outcomes for all five patient samples. Read the full paper here. We here at Cypre are always excited to get a chance to interact with researchers doing meaningful work in the field. That's why we were happy when our friends at Sartorius asked us to discuss the Symphony and VersaGel 3D culture platform at a San Francisco Bay Area user group meeting for their IncuCyte and IntelliCyte customers on October 2, 2018. VersaGel's optical clarity and ability to be easily digested make it a great fit for both IncuCyte and IntelliCyte users. Send us a note if you are interested in seeing our presentation or visit cypre.co to learn more and request a free demo. As part of its 5 year sponsorship of the MBC Biolabs (qb3@953) life sciences incubator, Amgen hosted a panel discussion at their South San Francisco campus on September 20, 2018. The goal of the panel was to give Amgen postdocs and opportunity to learn more about the current biotech start-up scene. Topics for discussion included starting and growing a biotech company, how to hire, the value of mentorship and networking and the future of biotech. As a resident of the MBC Labs (qb3@953) incubator in San Francisco, Cypre was invited to join the panel. Our founder and CEO, Dr. Kolin Hribar, PhD, talked about his experiences alongside other San Francisco life science and biotech companies (Mission Bio, Mitokinin, BioEclipse Therapeutics, Dahlia Bio, Delve Therapeutics). We were excited to have Cypre represented in the panel and would like to thank Amgen for the invitation. “It was a great opportunity to listen to my peers and engage Amgen's amazing postdocs and staff. I believe learning is the key to developing, regardless of your level!” Dr. Hribar said after panel. Please subscribe to our newsletter (below) to keep up to date with Cypre news and developments. Cypre is pleased to announce the launch of new product VersaGel™-Oncology Kit for tumor cell proliferation, viability, and invasion. Cypre presented alongside Perkin Elmer at the Scripps Vendor Show. We were excited to meet so many talented scientists at the Institute and hear about their research! Cypre presented its VersaGel™ and Symphony™ platform to the High Throughput Screening Facility at UC Berkeley, in connection with Molecular Cell Biology and Stem Cell cores. We are excited to announce our products shipped to our pharmaceutical customers! The team has worked amazingly hard to deliver our first units, and are now excited to help scientists with their 3D cell assays! 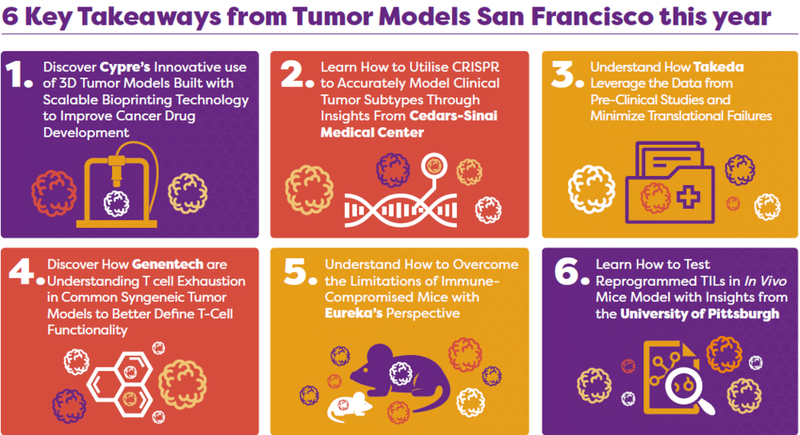 Kolin presents Cypre's case studies in translational oncology research and debuts Cypre's platform technology for 3D cell models and ex vivo research, VersaGel™ and Symphony™, arriving end of March. In attendance, scientists and clinicians from top pharmaceuticals, CROs, and cancer centers including Merck, Genentech, Amgen, Celgene, Takeda, MD Anderson, Jackson Laboratory, Crown Bio, Champions Oncology, MI Bioresearch, and Cedars Sinai. Cypre presents at the XYZ Technology Forum, hosted by Hemi Ventures, where industry and academic experts discuss the 2018 Top 10 Emerging Technology Predictions report at the Palace Hotel, San Francisco. Hemi Ventures hosts thought leaders at Stanford University to discuss novel technologies for cancer research, diagnostics, and clinical decision making. Cypre's founder and CEO, Kolin, moderates a panel discussing the technological challenges and opportunities such as 3D tumor models in improving pharmaceutical discovery and translation into the clinic. Presenters at Reimagining Cancer, Stanford University.